Thanks to its Pies on Parade each winter, Rockland, Maine is packed with food-centric folk whose goal is to sample the most marvelous pies possible. Whether you and your kids are serious gourmets or just have a sweet tooth, this event is 100% good, clean family fun. Otherwise, a visit during the dog days of winter to this seaside town doesn’t earn a spot on most families’ vacation bucket list. Summer is the time to savor the area’s rugged beauty, sail, beachcomb and explore remote offshore islands. But if you’re interested an off-season visit to diminutive Rockland for an authentic, non-touristy weekend, read on. If you are a member of a confirmed foodie family, start making your reservations. Just don’t forget to pack your warmest mittens, because frosty temps are practically assured. There are few foods as all-American as pie. Double crust or lattice, fruit-filled or sticky pecan, sweet or savory, it may just be our nation’s greatest contribution to the world of baked goods. Pie is the centerpiece of many Thanksgiving tables and featured in works by that most iconic American painter, Norman Rockwell. Eating pie is practically patriotic. My family likes to indulge in pie during our frequent visits to New England. The many inexpensive diners are full of local color, and frequently feature giant servings of house-baked pies that we can never resist. Apparently, my family is not alone in its pie-obsession. There’s the National Pie Council and even a National Pie Day, celebrated each January 23. In honor of National Pie Day, Rockland celebrates pie in a big way on the Sunday closest to January 23. The event is the brainchild of the Historic Inns of Rockland, four delightful small properties that are scattered around town. Pies on Parade has grown to include the participation of dozens of local restaurants and businesses, each baking and serving pie. Visitors must purchase tickets in advance, as the event always sells out. Tickets cost $30 for adults, $10 for children 10 years of age and younger. Your ticket allows you to sample all the different pies. All proceeds go to support a local food bank, a great cause. The pie-a-thon is eco-friendly, as each participant is given one stainless steel fork that they must re-use for all their pie eating. There is a free trolley that takes you to each venue, but Rockland is tiny and very easy to navigate on foot. Your taste buds are in for a variety of flavors, as pie is liberally interpreted in Rockland. Sure, classics like apple, pumpkin and blueberry (this is Maine, after all) are available. But the savory choices such as Shepard’s pie, pizza pie and a lobster-laden seafood pie are equally tempting. Come with a big appetite as there is a lot of food, around 45 pies in all. After having survived the gluttony, my best advice is to pace yourself. Portions are large so we shared many slices and only ate the pies that we truly found irresistible. Here is a video that we made during our recent visit, so you can get the flavor of the bounty for yourself. There is more to do than eat pie in Rockland, and many of the best family attractions are open year-round. The Owl’s Head Transportation Museum is my family’s favorite local destination. 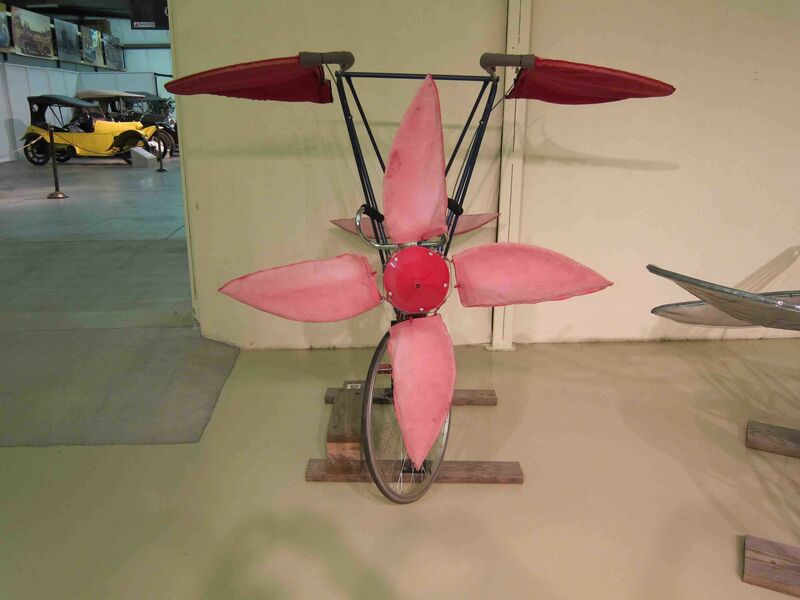 If you and your kids like cars and flying machines, prepare to be wowed. This cavernous space displays many different methods of how to get from here to there, with a special emphasis on planes, vintage cars and motorcycles. The best news is that many of these veteran vehicles have been meticulously cared for and still function. There are frequent demonstrations, including an airshow with the antique aircrafts soaring in the sky. If your children are interested in nature, visit the Project Puffin Visitor Center on Main Street. One hundred years ago, the Maine puffin population had been decimated, but the Audubon Society and its partners have worked hard to successfully reintroduce them back to Maine. You can view live video feed from a nearby puffin colony for a virtual visit. This is a good place to learn a bit about the conservation of these amusing seabirds. Check the website for winter hours. 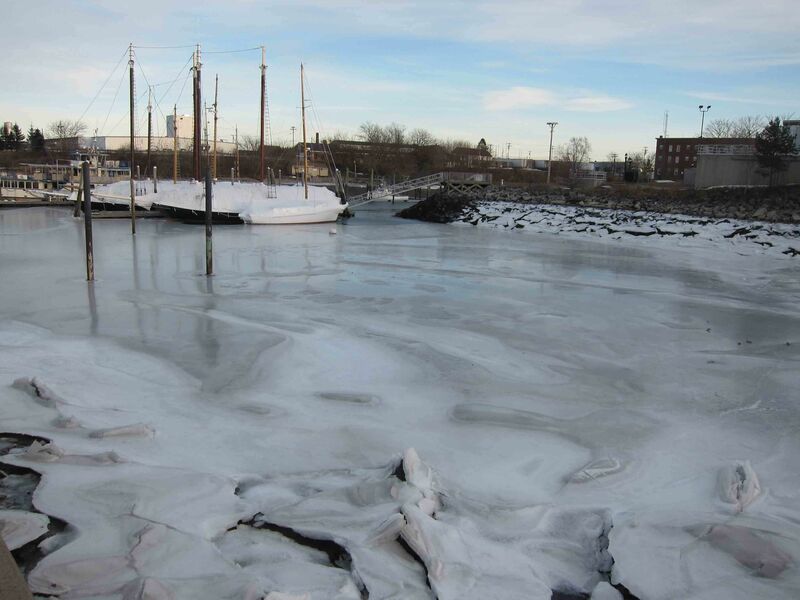 The Maine Lighthouse Museum is closed for much of the winter, but it is open during the Parade of Pies weekend. 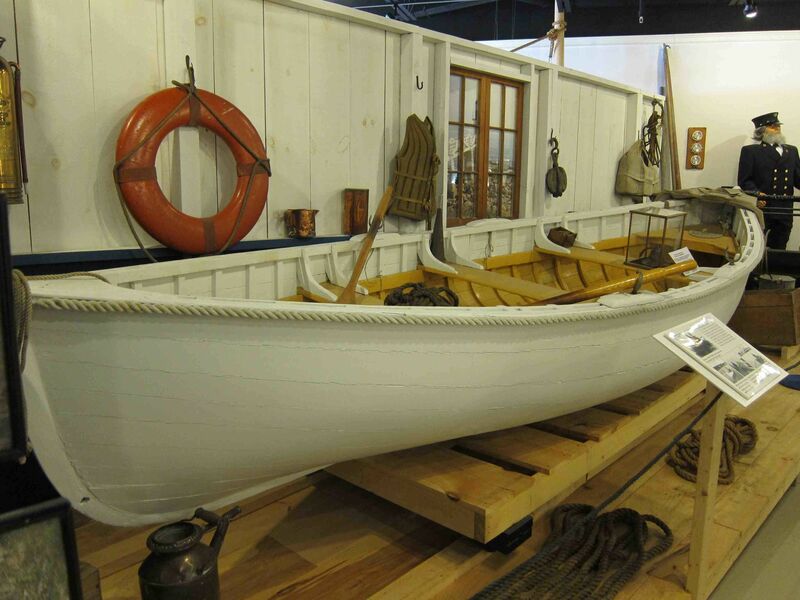 It houses a large and significant collection of lighthouse artifacts. There are some wonderful boats and other maritime curios, plus a prized collection of priceless Fresnel lenses, lenses specifically designed for lighthouses. The exhibits on lighthouse keepers and their children should be of interest to most kids. The Farnsworth Art Museum is the home to an exceptional collection of art that has been made in Maine. Maine is known for its numerous summer art colonies and many of the paintings depict iconic scenes, such as lobster fishing, blueberry picking and windjammers. The Farnsworth has stellar family programming all year, thanks to its committed education department. Children are encouraged to participate in a variety of hands-on workshops, included with admission. The Coastal Children’s Museum is open Wednesday through Sunday all year. Kid’s ages 2-8 should enjoy the opportunity to learn about the diversity of the natural coastal environment through hands-on play in a relaxed setting. Main Street is loaded with small, independently owned shops that are fun to browse, without a big-box store in sight. Candy Harbor sells old-time penny candies like Sugar Daddies and Mary Jane’s. If you want to let your kids sample some of your childhood favorite sweet treats, don’t miss a stop here. The Reading Corner is a Bookstore with a nice selection of children’s literature, some by local authors. Planet Toys offers a selection of quality toys and books. The salespeople are very nice, and allow kids to explore the merchandise. 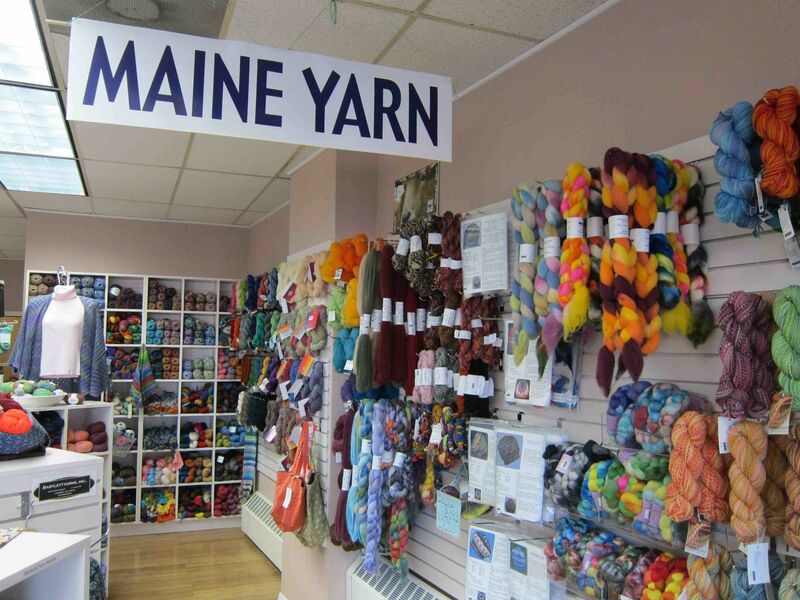 For adults and crafty kids, there are lots of shops that sell locally made crafts, so you will have your pick. 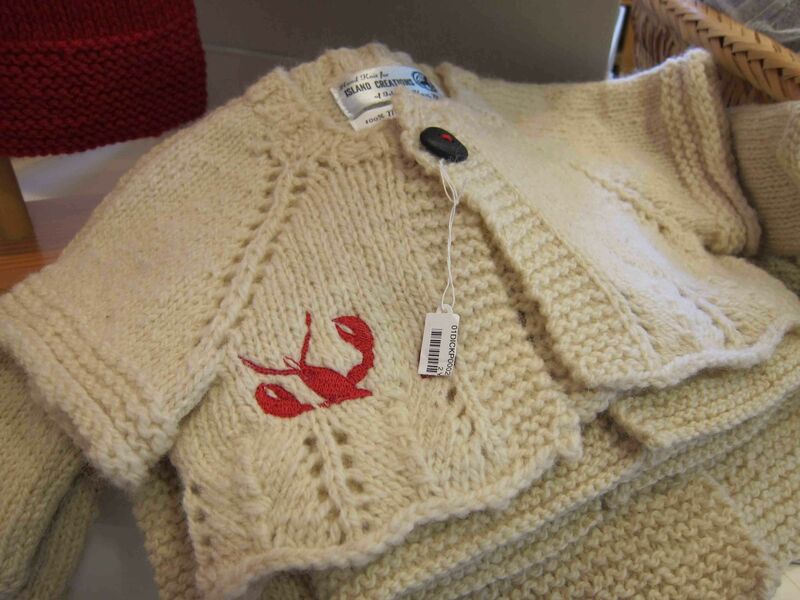 We enjoyed browsing the sea-inspired merchandise at the Grasshopper Shop and Archipelago. If your family knits or crochets, Over the Rainbow Yarn stocks a variety of colorful wool that inspired us to search for our long-lost knitting needles. The Historic Inns of Rockland are comprised of four small Inns. The Granite Inn and the Captain Lindsey House both offer family-sized rooms and tolerant attitudes, not easy to find at such quaint properties. The Captain Lindsey House breakfast is a delicious way to start the day, as owner Ellen Barnes is a noted cookbook author. Home-baked afternoon snacks are served in the parlor in front of the roaring fire, with port wine for the grownups. A nice detail is the communal fridge stocked with beverages, so kids can have easy access to juice or milk anytime thirst kicks in. You can’t live on pie alone, and Rockland’s revitalized downtown is a tiny tourist magnet that packs a culinary punch. 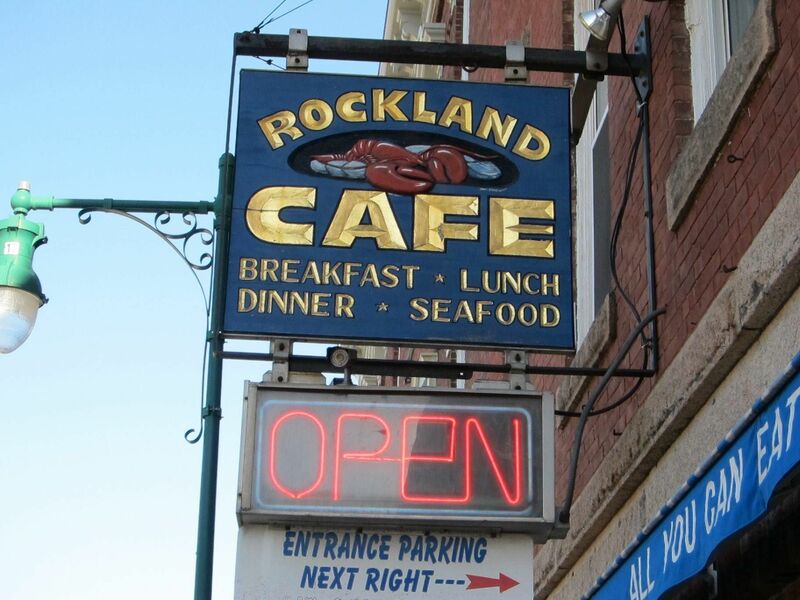 The Rockland Café is an old-fashioned New England diner. The menu is full of Maine maritime classics like fried clams, lobster rolls and seafood chowder all served at family-friendly prices. If your family craves a burger and fries, L & H Burgers serves them with plenty of panache. Choose a beef, chicken or veggie patty as your base and customize with a variety of toppings to have it your way. Sweet potato fries, onion rings and shakes make this casual eatery a burger heaven by the sea. Clan MacLaren is a casual place serving exceptionally fresh sandwiches, soups and salads. The owner is a grandmother and welcomes kids of all ages. For something slightly more upscale, try the very popular Café Miranda. Chef/owner Kerry Altiero serves up some innovative international offerings, but kid-pleasers like spaghetti and meatballs, pizza and hot dogs also crowd the menu. Chef Kerry’s dash of sassy attitude is on full view in the open kitchen, which makes for great entertainment.